C. S. Lewis reports that this book by George MacDonald ‘baptized his imagination.’ It would take years, but eventually this baptism would contribute to Lewis’ conversion to Christianity. Lewis also writes that there isn’t anything that he had written that had not been influenced by the writings of MacDonald. Given the influence of Lewis, it is astonishing that it has taken the world so long to discover George MacDonald- but discovering, it is. 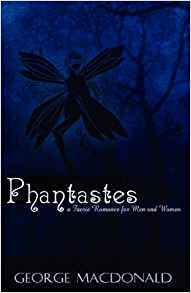 This ‘fairie romance’ calls forth the question: is there more to reality than we suppose?